Barry L. Eppley, MD, DMD, is a highly skilled, board-certified plastic surgeon as well as an oral and maxillofacial surgeon. He is well-versed in a range of plastic and reconstructive procedures for the face and body, including breast enhancement surgery. Dr. Eppley has years of experience helping Indianapolis breast surgery patients from all walks of life, from women who wish to regain their pre-pregnancy figures to those who have experienced physical changes following massive weight loss, as well as women who are simply unsatisfied with the appearance of their natural breasts. Nationally recognized as one of the country's most extensively trained plastic surgeons, Dr. Eppley is highly qualified to perform a wide range of cosmetic and reconstructive procedures. He has participated in the investigation and development of the latest technological advances in plastic surgery and has been awarded numerous U.S. and international patents involving biomedical technologies. Dr. Eppley uses many new surgical methods that improves the outcome and patient satisfaction after breast implant surgery. 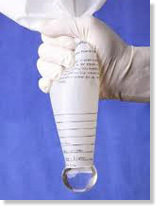 These include the funnel method of silicone gel implant insertion for smaller incisions and better longevity of the implants, a rapid recovery breast augmentation technique using physical therapy for a quick return to work and physical activities, and a wide choice of implant types, styles and sizes to help achieve every women's breast goals. Dr. Eppley offers an array of breast enhancement procedures, including breast augmentation, breast lift and breast reduction. He often combines the breast implants procedure, which can be performed using either silicone or saline breast implants, with breast lift in order to achieve excellent aesthetic results. He is adept at performing a range of breast surgery incision types and implant placements, which is determined based on each Indianapolis breast augmentation patient's breast anatomy, skin characteristics, body style and aesthetic goals. Dr. Eppley also performs breast revision surgery for patients who are unsatisfied with the results of a previous breast surgery. In addition, he has helped many male patients overcome gynecomastia through male breast reduction surgery. Dr. Eppley uses the latest surgical approach to breast surgery, which eliminates the need for drainage tubes, allowing his patients to enjoy a speedy recovery. He believes that patient education is essential in the overall success of plastic surgery. His compassion, communication, attention to detail, exceptional surgical skills and fine-tuned aesthetic judgment contribute to the consistently outstanding aesthetic results he is able to achieve. In addition to breast surgery, Dr. Eppley offers an array of sophisticated, appearance-enhancing procedures for the face and body. He performs all treatments at the state-of-the-art Eppley Lifestyle Spa medical spa facilities. Eppley Lifestyle Spa is a hospital-based spa that was co-founded by Dr. Eppley. Located at Indiana University Health West, in Indianapolis and Indiana University Health North in Carmel, Eppley Lifestyle Spa integrates Eastern spa rituals with Western medicine in a relaxing environment. To schedule a one-on-one consultation with Dr. Eppley and learn more about your breast surgery options, please contact his office in Carmel or Indianapolis at (877) 223-8431. What Do Patients Say About Dr. Eppley? Barry L Eppley, MD, DMD is a highly-skilled plastic surgeon and the only plastic surgeon in the Midwest that is certified by both the American Board of Plastic Surgery and the American Board of Oral and Maxillofacial Surgery. He is one of Indiana's most educated doctors and brings a wealth of training and experience to his patients. Dr. Eppley founded his own private practice to bring to patients his own style of specialized care. He merges science and art to create beautiful natural results that are in proportion and balance to each patient. Dr Eppley believes an educated patient gets the best results. In his own relaxed and very personal style, he spends the time to understand what you want and discusses all of the options on how to achieve the results you are after. As a result of his philosophy, he has a daily plastic surgery blog to educate patients on a wide variety of plastic surgery topics at exploreplasticsurgery.com.